The Tampa side-table is both practical and elegant. 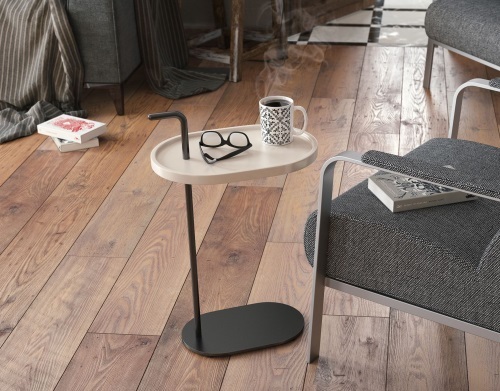 At only 62cm in height, the plateau is at 50 cm is designed to slide in beside your sofa or armchair. Perfect for your cup of tea or phone! It has a slightly weighted base, giving maximum stability. Choose from a range of 3 pastel colours to suit your taste. The accompanying photo shows the lacquered beige Tampa, which complements perfectly any wooden floors.